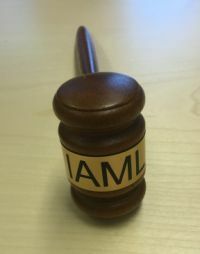 IAML is governed by the General Assembly and the Board. The General Assembly comprises all members and shall meet during the Association’s congress. The Board is the executive committee of the Association and is made up of elected and appointed officers: the President, the President-Elect or Past-President, the four Vice-Presidents, the Secretary General and the Treasurer. The work of the Association is accomplished through a network of Institutional and Subject Sections, Study Groups, Project Groups, Commitees, Subcommitees and Joint Commissions. A list of policy statements approved by the IAML Board on international issues are collected on the IAML Policy Statements page. An organizational change process began in 2010. 2010: A plenary session took place at the Moscow conference called the Future of IAML . 2014: The Council, previously part of the governance structure, was dissolved at the General Assembly during the conference in Antwerp.